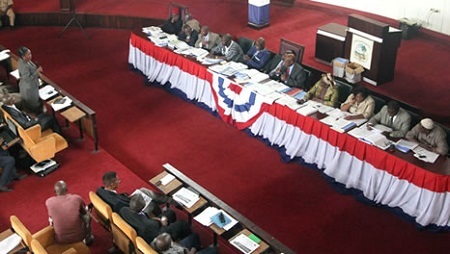 A women advocacy group is calling on Liberian legislators to consider enacting an anti-gay bill. The women, under the banner of Women United to Fight Against the Stand of Gay Marraige in Liberia, made the call Friday at the end of a two-day anti-gay marriage workshop held on the compound of the Paynesville Community School, just outside the capital, Monrovia. The forum brought together 50 married and unmarried women, according to the Liberian News Agency (LINA). The workshop held under the theme “Jointly Protecting Liberia’s Future Generation Against Self-destruction, ’’ was organized by the women’s group. Speaking on behalf of the women, Rose Arkee argued that passing a pro-gay bill into law will cause wealthy men to use their money to entice their husbands and boyfriends to abandon their homes. Arkee also expressed fear that men, who are bisexuals, would lavish money on their boyfriends and husbands in the name of friendship and cause them to leave their homes. She argued that the act of homosexuality totally contravenes African cultural norms and must, therefore, not be accepted in the country.